When Jean-Claude Le Joliff arrives, he naturally begins to tell anecdotes about the place of the interview. But today, the subject is not the Dome, but him. Unlike his peers, who often come from technical and scientific backgrounds, Jean-Claude Le Joliff has had an atypical career. Interested in metallurgy, he sought training in the structure of materials. He then enrolled at the CNAM (Conservatoire National des Arts et Métiers). Jean-Claude Le Joliff therefore changed his orientation, but stayed at the CNAM to prepare a diploma in biological biochemistry. At the same time, he worked for five years at Helena Rubinstein where he learned basic chemistry. He also practises controlling the conformity of cosmetics produced in Europe. It is time for Jean-Claude Le Joliff to go into military service. Upon her return, her former boss at Helena Rubinstein was posted to Bourjois. He asked her to come and work with him. At the time, the Bourjois-Chanel group owned several brands, such as Chanel, which was not well developed, and Barbara Gould. Jean-CLaude Le Joliff doesn’t know it yet, but the Bourjois-Chanel adventure will last about thirty years. Chanel is not Jean-Claude Le Joliff’s only project. As manager, he is called upon to work on the development of Barbara Gould products, which move from retail to supermarkets. The Bourjois adventure is also, for him, an engine of satisfaction. “This brand was very strong in perfume until it had problems exporting. The cosmetic range was not that extensive. However, it had a very particular technology, that of baked make-up, which still exists. At that time, there was not a woman who did not have this product in her iconic button-shaped box. With my team, we decide to use this product in eye shadow and facial powder, and this will reinstall the brand. The second step was to try to make Bourjois into a perfumery brand again. We then imagine scented toiletries, such as deodorants or after-shave products,” he recalls. While still working for the Bourjois-Chanel group, Jean-Claude Le Joliff was bitten by the innovation virus in the early 90s. He began to attend specialized training courses. Around 1995, the group decided to restructure the laboratories and technical functions by separating research from development. An innovation management structure is therefore created. A small team is created, interested in the design of new products. “We decided to work with people who are at the École des Arts et Métiers and who were working on alternative design approaches. Then, in this structure, we integrated the CERIES (Centre d’études et d’Investigations Épidémiques Sensorielles) with the idea of following an academic research process and having a real expertise”, he explains. In this context of innovation, the group is beginning to carry out many efficiency tests and claims performance. CERIES is gradually evolving, a scientific director from dermatology is appointed and will play a crucial role in the care development strategy. “Thanks to this, we will invent improbable things, such as a make-up fabric, new deodorants but nobody is interested in our work,” he recalls. *“That’s when I realized that the cosmetics industry was a little schizophrenic,” he says. “It spends a considerable amount of time saying the opposite of what it does. At the time, it kept claiming that she wanted innovation but was hermetic about all the proposals we made. 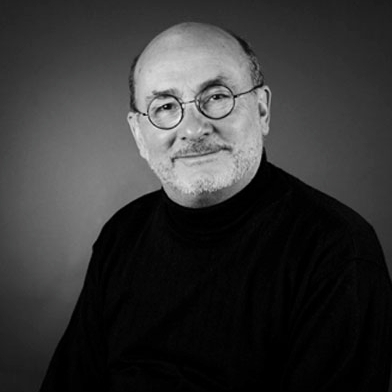 In the late 1990s, he began to focus on methods for designing and modeling innovative computer-based solutions. Convinced of their usefulness, he then decided to set up a kind of consulting firm, specialized in the use of these tools of assisted innovation. In the meantime, he negotiated his departure from the great Chanel house. More innovation…but teaching with it! Once his collaboration with Intercos is over, he wants to focus on things that really inspire him: innovation and teaching. Initially, he actively participates in the training courses of the Isipca (Higher School of the Perfume, Cosmetics and Food Aroma Industry). He quickly joined the team at the UCO Bretagne Nord de Guingamp and will help Philippe Colas set up a programme. He is also recruited by Cosmetic Valley to teach at Versailles. In short, everyone is clawing at Mr. Le Joliff’s knowledge! From an innovation point of view, he works as a consultant and joins several projects. He helped his friend Didier Tabary, for about ten years, to set up the Filorga brand. In the end, he decided to gradually separate himself from these commercial activities and wanted to take a step back from the world of cosmetics in general. Jean-Claude Le Joliff has long had in mind a project for a cosmetics conservatory, a historical encyclopedia of the know-how of this sector. “I always thought that such a tool would be quite useful and very clever. Since I don’t play golf or bridge, and the rest of my passions leave me a little time, I decide to launch this idea of Cosmétothèque (library and cosmetics contraction) in 2014. I am therefore training in the management of technical and scientific museology to better structure the Cosmetotheque. Since then, it has been actively nourished by me and other contributors,” he says. Untiring, Jean-Claude Le Joliff continues to teach from right to left, even if he tries to slow down the pace. After two hours of discussion, it is time to leave each other. **“But we didn’t even order chocolate,”* he notes. Unfortunately, the house is no longer the emblematic drink praised by Jean-Claude Le Joliff. Nevertheless, Paris is full of mythical breweries, no doubt an opportunity to meet again and talk about the history of cosmetics.